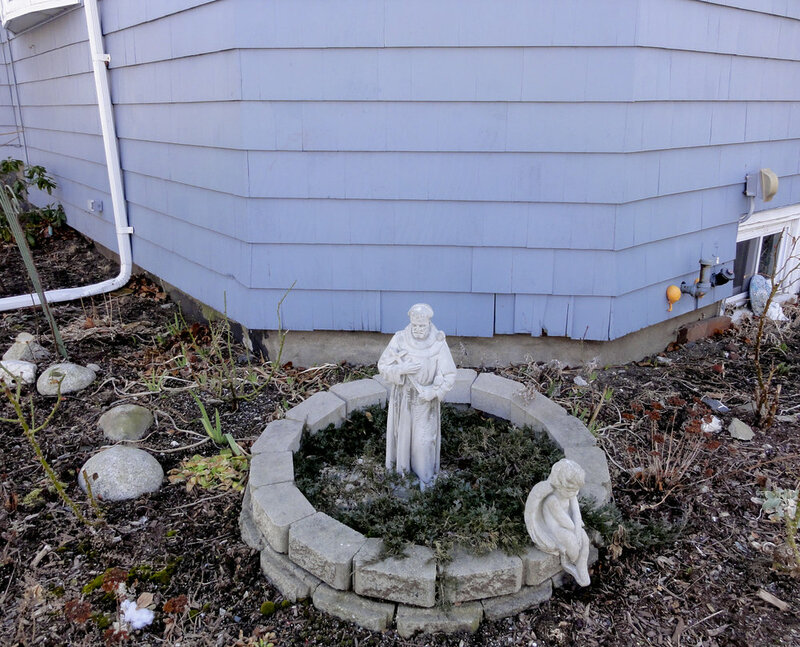 Rather than purchase a mass produced enclosure for their statues, some homeowners construct their own from scratch, using a range of materials from brick, metal, wood, and stone, to materials that have likely been recycled from previous home renovation projects. Whether mass produced or home-made, enclosures, both inside and out, are decorated with paint, stone, shell or tile inlays, rosaries, lights, flowers, which give each shrine and statue a unique personality. 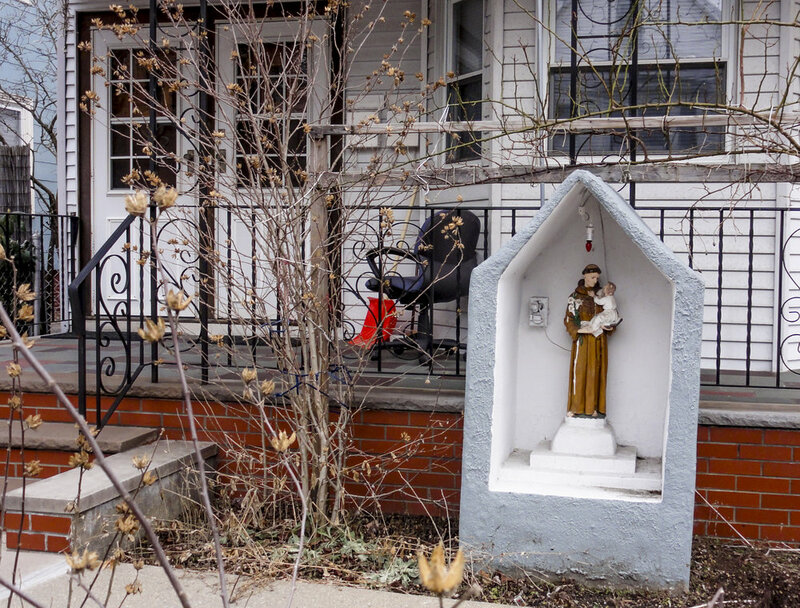 The result is a dazzling array of architectural styles demonstrating the ingenuity and creativity of Somerville homeowners. Tip: To see the photos in the gallery below enlarged or in a slide show, click on a photo, and navigate by clicking to the right or left or each photo; to return to the page or grid, click on the X in the top right; the X may be almost invisible on some pages, so look for it! 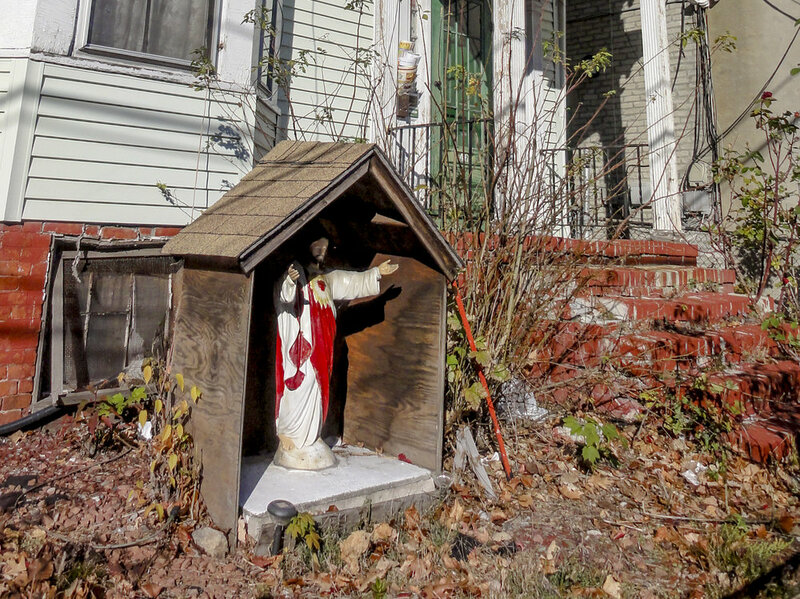 Arbors of grape vines and other climbing plants that provide shade for residents' outdoor leisure spaces are another classic feature of Somerville homes, so it is not surprising that arbors are put to similar use for the Virgin and saints. 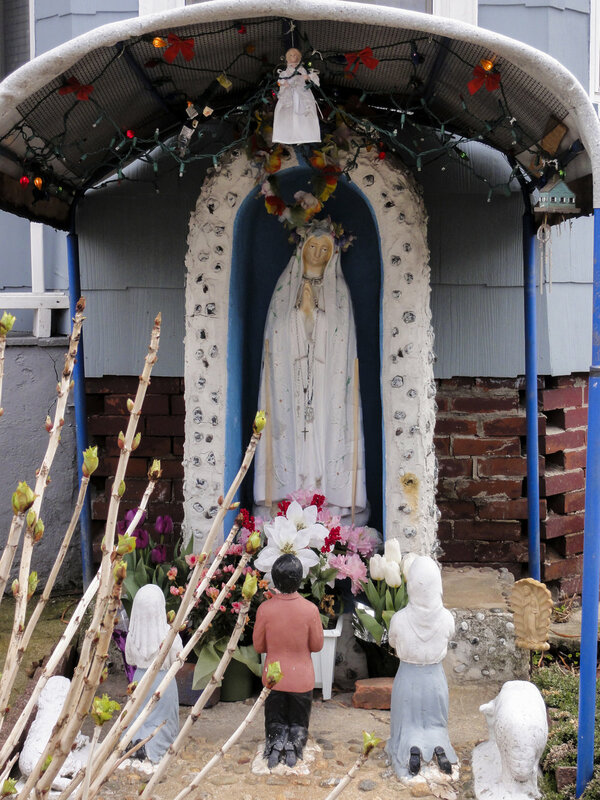 Whether store bought or homemade, the bathtubs, grottos and other forms of shelter provided to the saints are clearly intended to enhance the statues' role as visual focal points for the front yard shrine, but the unique ways these are mounted on bases and pedestals also contribute to the overall effect. 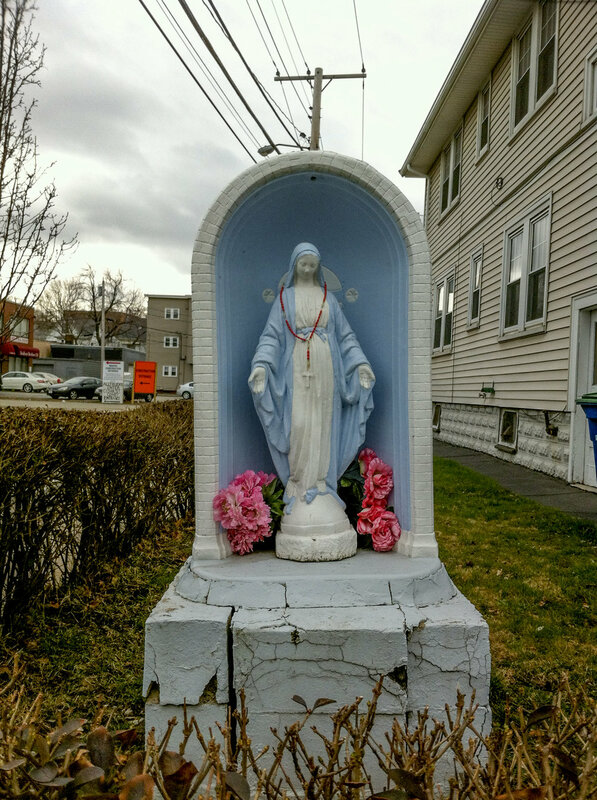 Even when a statue lacks an enclosure, the care given to pedestals and bases announce the owners’ desire to properly elevate the saint materially as well as spiritually.